It's a month before Oh Day Aki school is supposed to welcome 150 kids back to classes, but the dark 1940s era halls are still lined with filing cabinets and stacks of tables. Principal Darlene Lieding is sitting alone in the office listening to the phone ring. "It's been reporters," she says. "It's been parents. It's been vendors we owe money to. Everybody seems to be coming in." There's precious little going out. The state's Department of Education froze the school's bank account after a routine audit found more than $100,000 unaccounted for at the school. Nine out of 10 of the students there are American Indians. The school has been serving the Indian community in Minneapolis since 1970. Earlier this summer, executive director Joel Pourier was summoned before the Minneapolis school board to explain the financial discrepancies, but couldn't. The Hennepin County attorney's office looked at the audit and assigned a deputy to look into the matter. But only after search warrants were filed in Minneapolis this week did Lieding figure out what was really going on. She asked the school's bank to send her copies of the checks Pourier had been writing. "I came back into the building and saw bank statements coming in off the fax machine and noticed there was check after check after check written to himself and signed by himself. There is no documentation in the school for these checks. There is simply a little note on the memo lane saying, 'for moving,' or 'for facilities rental.' And I'm saying 'what facilities did we ever rent." There were checks for cleaning services that never showed up, for school events that never happened. The financial discrepancies remain unexplained. The school board is expected to revoke the school's charter next week and recommend the students attend other schools, according to Minneapolis schools Chief Academic Officer Bernadeia Johnson. Sullivan Communication Center, Anishinabe Academy and South High School all offer some Native American education programs in the area, Johnson says. "We have been meeting with the Native American Community, various organizations, parents, just interested people interested in this particular school because it has, it's been around for such a long time, 38 years, and its been an integral part of the community. Parents have a lot of trust and faith in the school, and they would like to see it continue. But we cannot continue to support the school as it is right now." 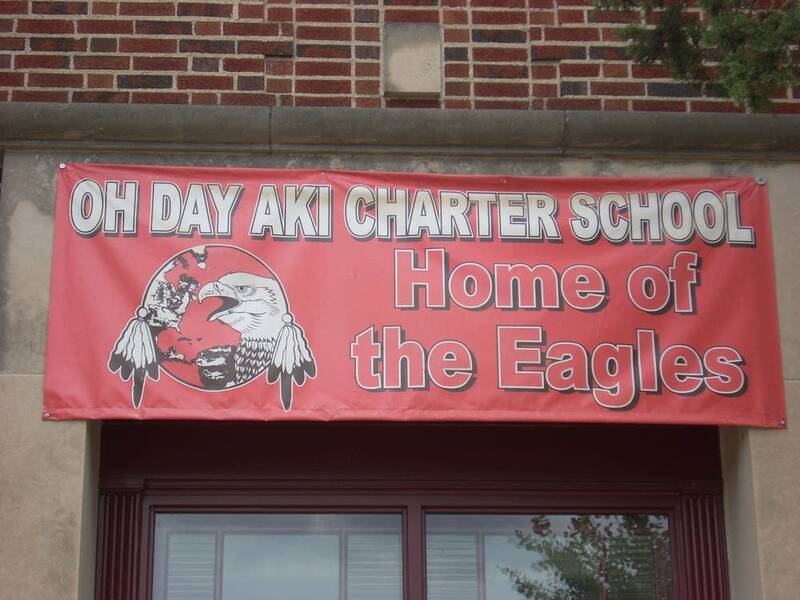 Heart of the Earth, also known as Oh Day Aki, was a K through 12th grade school last year, but was planning to split off its high school and offer classes only through eighth grade this year. About 22 full time staff work at the school, which has a $2 million annual budget. But the school's value can't be measured in dollars and cents, Lieding, the principal says. "My take is that it will have a devastating impact on the families and children. We're running into a situation where a lot of the parents were in the school and possibly graduated from the school, so that's 38, 39 years of community history going down the drain," she says. Pourier, the school's director, did not return calls regarding the alleged embezzlement. He does not yet face any criminal charges.